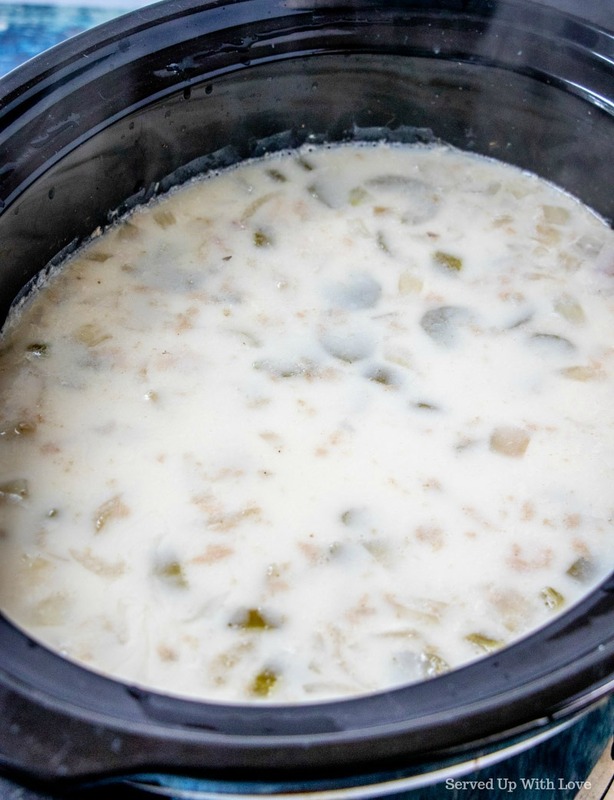 Crock Pot Potato Soup is an easy recipe that tastes just like Grandma's. The key to amazing flavor is bacon. 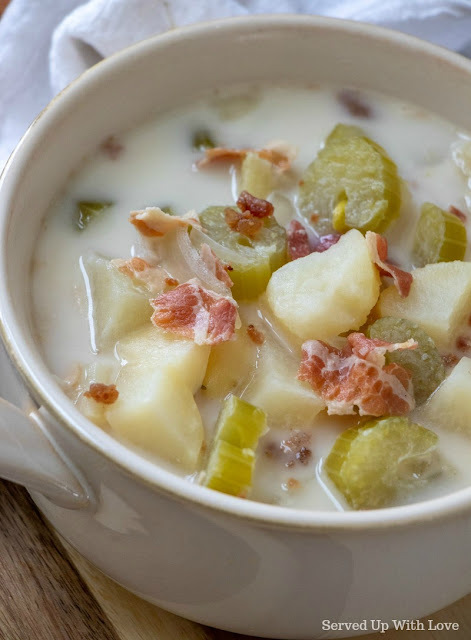 For a long time my mom would talk about my grandmas potato soup recipe. When my grandmother passed away, most of her recipes went with her. All we could go off of was my moms memory. It took a few tries to get this recipe just right but when she told me it was the closest anyone has been able to get to my grandmas, I knew it was a keeper. Some of you that have followed my blog from the beginning know that one of my main reasons for starting this blog was to try to recreate those recipes from my Grandmas that were lost with them. Since I lost them when I was young, I do not really remember those great dishes they made. I relied on my parents to share that with me. 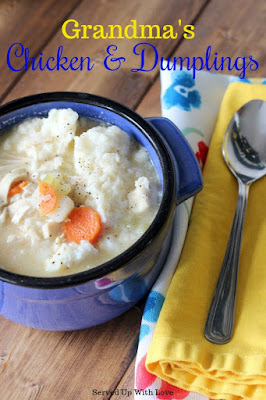 I can in turn pass these "almost" Grandma recipes down to our future generations. 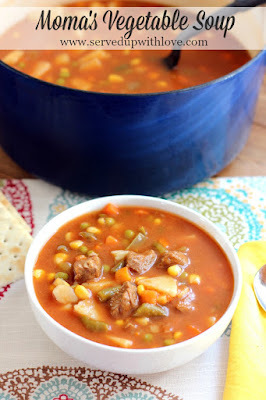 This can be just a little time consuming with all the chopping of the veggies but in the end it is so worth it. Bacon is the key ingredient here and makes this dish over the top. I have used leftover ham before and it fails in comparison to the bacon. The bacon lends a great smokey flavor to this soup. 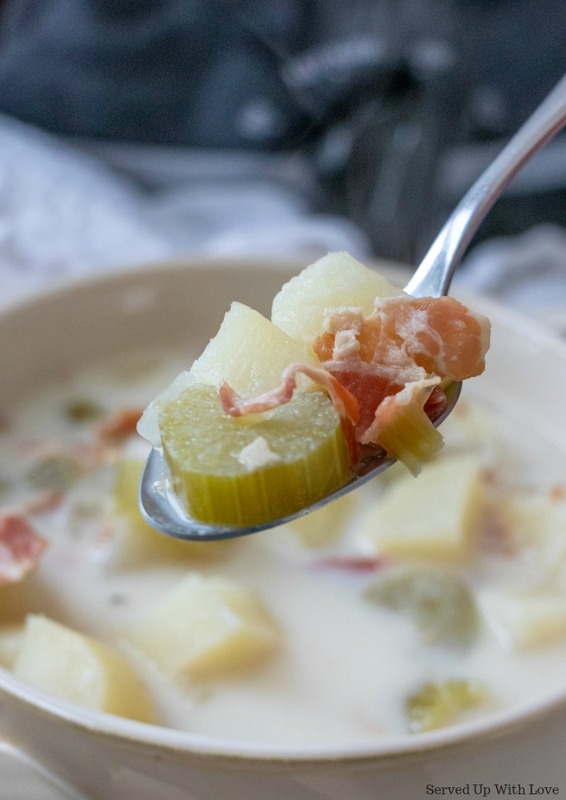 Country ham biscuits are a great side kick to this soup. 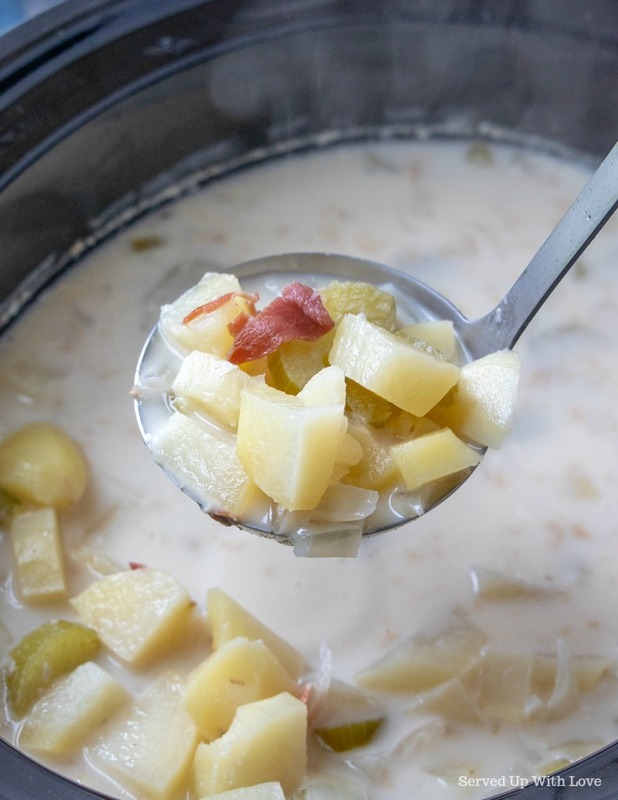 Crock Pot Potato Soup is an easy recipe that tastes just like Grandma's used to. The key to amazing flavor is bacon. 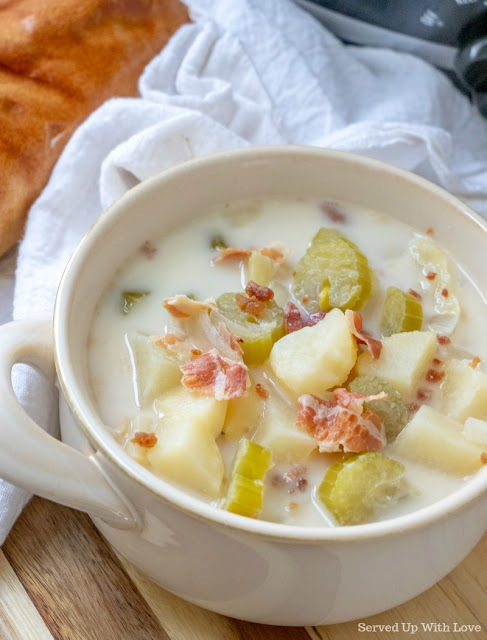 We share a love of potato soup and of our crock pots!! <3 thank so much for sharing with me at the Soup Supper!! This looks so heartwarming. Thanks for sharing at Foodie Friends Friday! I cover the potatoes, so at least 5-6 cups depending on your crock pot size. What type of potato is best for this recipe. I fear the golden potatoes would break down and become mushy. Thanks for your early reply. Russet potatoes tend to fall apart so I try to use white potatoes. But I have used whatever I have on hand or what is on sale.